I usually write a blog related to wine or beer, but this is the exception. As Canadians we tend to travel outside our country a great deal, but we need to take more time to discover part of Canada that has some of the most spectacular scenery in the world. One of the best motorcycle rides in North America is north of Nelson BC. The twists and turns of the road system in this area makes it a must ride for motorcycle enthusiasts! Last week I took 4 days off in order to check this off my ‘Bucket List”. 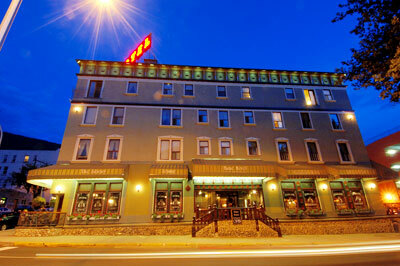 I stayed in a quaint hotel in Nelson called The Hume Hotel – a late 1880’s restoration. The suggested route into Nelson is to take Hwy 3 to Hwy 3A that follows the Kootenay Lake and the ferry across into Nelson. North of Nelson, take the 3A and Hwy 31 and loop back on Hwy 6 to New Denver returning into Nelson. The beautiful scenery and winding roads is a thrilling and an enjoyable experience when riding a motorcycle. It made me appreciate the beauty that we have so close to home.